Explosion can lead to catastrophic situations, causing severe injuries or death. That’s why our firm has worked tirelessly to becoming the best explosion attorney in Crosby, Texas. 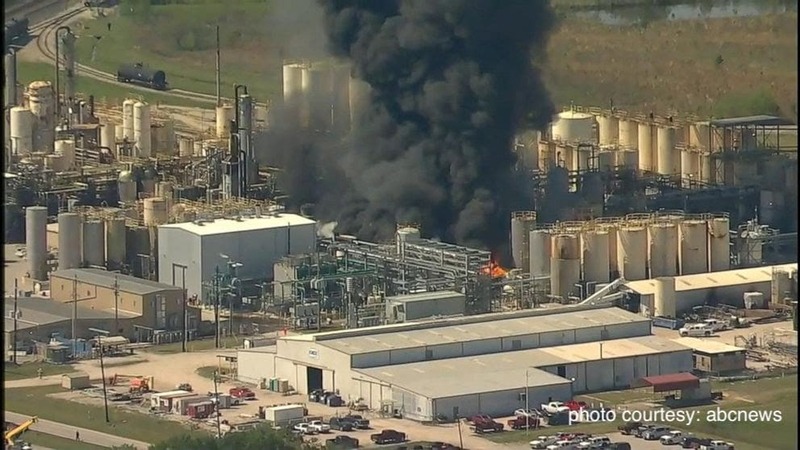 A chemical plant explosion causes injuries to residents many miles away. Crosby, Texas citizens were exposed to chemical fumes in the atmosphere. This causes long-term injuries and illness to residents in Crosby and the surrounding communities. When an explosion occurs in a chemical plant it’s generally because of the negligence of a plant employee. However, the ultimate responsibility for safety enforcement in the workplace and community falls on supervisor and plant owners. Poor maintenance, installations and defects lead to disastrous consequences. As a result explosions occur, causing fires and the emission of harmful toxic chemicals into the atmosphere of our neighborhoods. Leaving children and adults exposed. Although we live and work near chemical plants everyday, it is still extremely dangerous. Residents rely on the plant safety methods to co-exist without the worry of an explosion. If a chemical plant neglects the maintenance and monitoring of chemical processes, eventually an explosion will occur. This can lead to lasting consequences. If you and your family members are victims of an explosion in Crosby, Texas, Contact the Beverly R. Caruthers law office. Attorney Caruthers is an expert explosion attorney and can help you and your family members secure compensation for your injuries occurred due to chemical plant negligence. Attorney Beverly R. Caruthers is the best explosion attorney in Crosby, TX. She understands the trauma to local residents when an explosion occurs. Crosby, TX residents have relied on Attorney Beverly R. Caruthers for help in personal injury cases for decades. Injuries cases by an explosion are personal injuries and Attorney Beverly Caruthers is armed and ready to help.